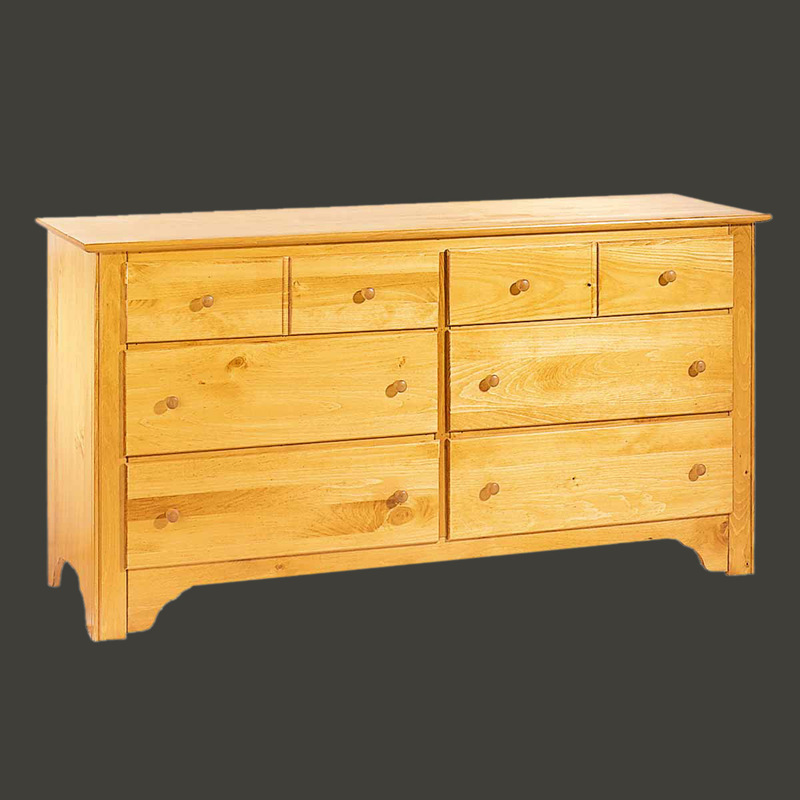 Dressers in solid wood are hard to find. 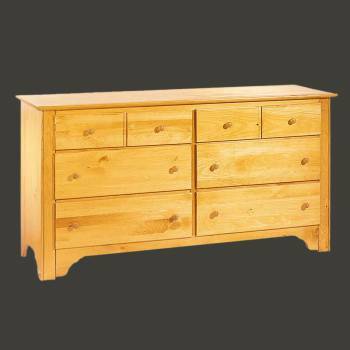 Shop for your Dressers here today. Dressers: This Shaker pine double dresser has 6 big drawers, 24" wide x 15" deep. 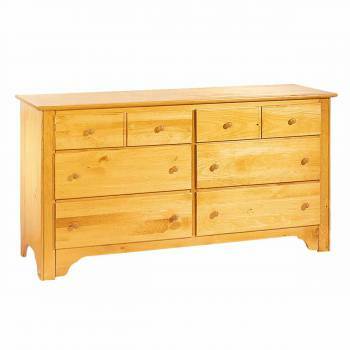 Overall the dresser measures 30" high x 58" wide x 18" deep. It is finished in our Honey Pine stain. Freight charges apply.